After spewing racist comments at a Spring Branch woman in traffic, the man at the center of the viral video responds. 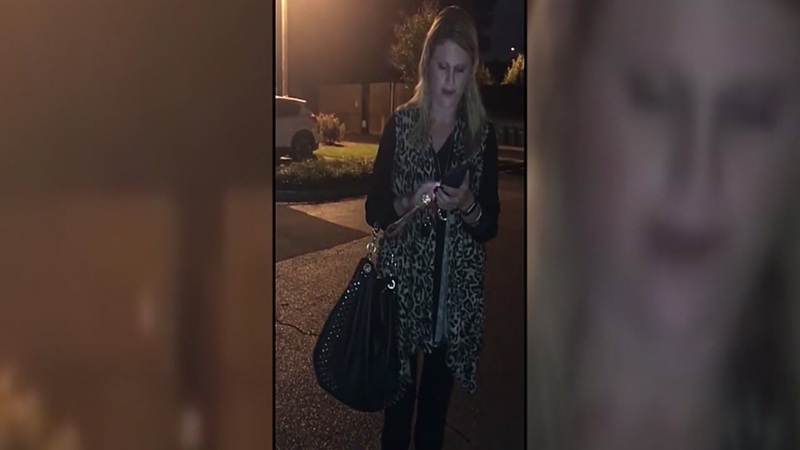 HOUSTON, Texas -- It's a cell phone video of a racist rant on the road that has gone viral. Now the man you hear, who wishes to go by the name of "Kevin", because he has received death threats, is apologizing. The incident unfolded in the Spring Branch area on Wednesday. Janet Sadriu says she was on her way to vote with her two-year-old daughter in the back seat. "He was insulting me, he pulled up and started to speed up a little bit. At the light I was able to take my phone out and record his plate," Sadriu said. Kevin says he takes full responsibility, "I reacted in a poor manner, I said things that were offensive that I shouldn't have said, but what I want people to know is that I suffer from bi-polar disorder. It's very real, it's not a joke, it's not an excuse." Sadriu described the man initially as acting very strangely but Kevin claims he's not a racist, "This woman, I want her to know and everyone to know is as much of an American citizen as I am." Sadriu is a wife, mother and naturalized citizen and says she shared the video so she could be a voice for so many others who didn't have their incident recorded or may be afraid to speak out. "This hate has got to stop to show these people it's not ok. It's not ok to bully and be racist. This is 2018," said Sadriu. At the time of the incident, Sadriu was accompanied by her child in the backseat. Kevin says he had no idea her child was with her. But that if he had, he would've never yelled those words..
Houston Police Chief Art Acevedo tweeted that they are aware of the incident, and investigators have been assigned to determine if a crime was committed.